ST. PETERSBURG, Russia (AP) — Refereeing at the Confederations Cup in Russia may have been chaotic at times, but Video Assistant Referees have prevented major mistakes from being made, football’s governing body says. 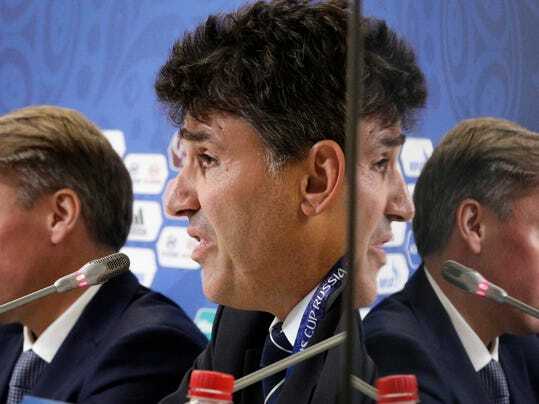 FIFA’s head of refereeing Massimo Busacca says video reviews have not always looked good in tests at the tournament and admitted “many aspects should be improved” including faster, clearer communication after slow reviews have confused players, coaches and fans. “We are certain that this can reduce refereeing errors,” Busacca told a news conference. His choice of words suggests eliminating errors completely at the World Cup is too tough a goal.